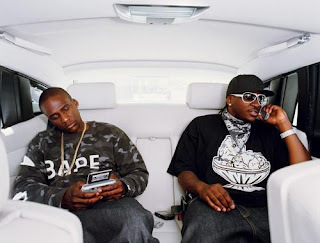 They are the kings of coke rap, their flows sound impeccable over some of the Neptunes finest beats. Basically there are head and shoulders above any of the other "gangsta rap" out there today. Here are 3 of my favorite Clipse remixes that have been made recently, as they have become quite big in the hipster DJ/remix world.